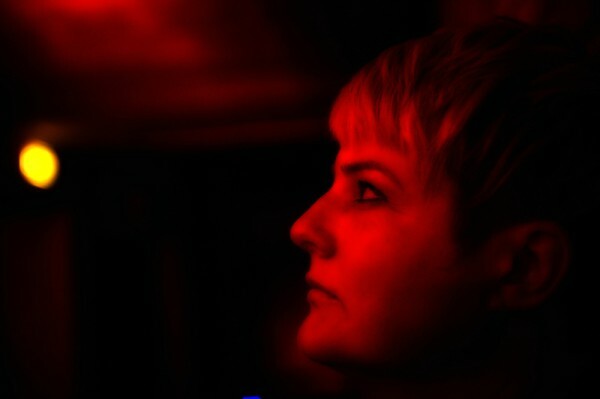 Jo Thomas is a London based composer as well as a visual artist and poet exploring stanza rhythms and microtonality. Her music is an extraordinary combination of installation work, live electronics and detailed studio production. Her live work is often improvisational, and she engages performing with large landscapes of composed sound. Current work includes a 22 channel installation titled “Agna Rita,” supported by the PRS Women Make Music Fund and the Britten-Pears Foundation. Here, Thomas works with extracts from the Magna Carta and combines them with modal and digital audio landscapes. In 2012 Jo Thomas won the Prix Ars Electronica Golden Nica in Digital Musics for her work “Crystal Sounds of a Synchrotron.” In 2014 she was commissioned by Contemporary Locus to create “Rocco,” a sound installation for the old town of Bergamo, Italy, and in 2015 Thomas built FeMMuseTech, a civil engagement project supported by the University of East London to increase the visibility of women in Stratford, London working with music technology. Jo Thomas’ work has been performed in some of the most acclaimed spaces in the UK and Europe, including the Tate Modern, the Queen Elizabeth Hall London, Prix Ars Linz, Salon de Messien at Radio France, Huddersfield Contemporary Music Festival, among others. Jo Thomas’ music has been released by record labels Holiday Records, Entr’acte and NMC.